On Thursday, September 6, 2018 Trooper R. Kreczmer from the Maryland State Police La Plata Barrack conducted a traffic stop on a gray Ford Taurus for the driver not wearing his seat belt on northbound Route 301, north of Route 5, in Waldorf. 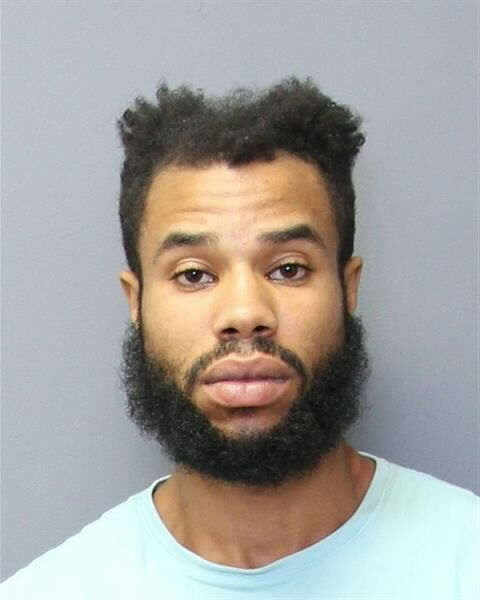 Upon making contact with the operator, Paul Alonzo Valentine, 27, of Capitol Heights, Trooper Kreczmer detected the odor of Marijuana emanating from the vehicle, and a probable cause search of the vehicle was conducted. The search revealed Schedule II Narcotic pills, (oxycodone and codeine) and suspected Methylenedioxymethamphetamine. Valentine was placed under arrest for CDS not Marijuana and transported to the MSP La Plata Barrack. While at the barrack, a secondary search of Valentine revealed suspected Marijuana, in his groin area. This entry was posted on September 12, 2018 at 7:25 am and is filed under All News, Charles News, County, Law Enforcement, More News, Prince George's News, z 600X120 Top Ad Bottom, z Police Ad Top. You can follow any responses to this entry through the RSS 2.0 feed. The picture of this dude says it all. LMAO couldn’t have said it better!!!! Thanks for making my Friday!!! It’s like a black Mr. Potato Head!